Easter edition! Isn’t it amazing that the weather has turned for the better?!?! I mean, hello 89 degrees! It totally feels like April, it feels like Easter weekend, it feels like allergies, it feels like it is time to get to the beach! (Thank you mom for the call from the beach today!) Ah, to live at the beach….I did that once in a past life. Haha! Maybe the Lord will allow that to happen again one day. Anyway, things are alive and kicking here at ABJ Photography. We did not let the weather keep us down and out after last weekend. We had to re-schedule a shoot for next weekend, but I did make it out in the middle of rain sessions to grab a few quick shots. See previous post. The enthusiasm is rising as we meet new clients, and gear up for our first wedding in a few weeks. I feel like it will be here before we know it….and then other times I feel like I am trying to watch water boil…it is not getting here soon enough! Until then, I am having fun playing with new equipment and handling business….ewww, like taxes. Ah. Anyway, it needs to be done right? I do have a couple fun things to blog in the near future: a masquerade party that we attended last weekend as well as a backyard inspired post from photos taken last night. But for now, we wish you a lovely Easter and Easter weekend! 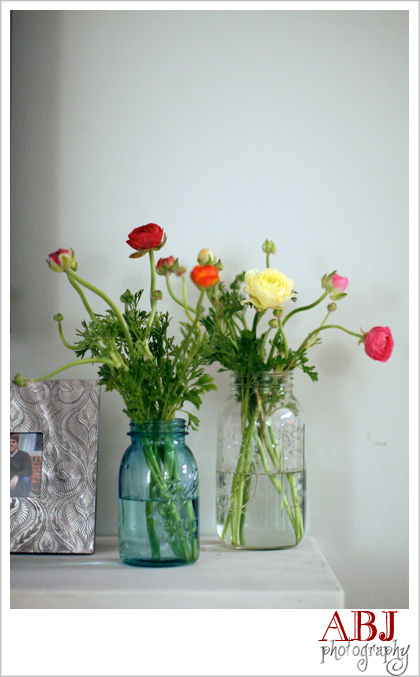 These flowers below are from Trader Joe’s…ah, totally SPRING!